What struck me is that The Church is also a “space shuttle” of sorts. It could be understood as a shuttle designed and built by The Lord for us to be able to explore spiritual space, a place in The Spirit. The Church is a space shuttle, which was to be built by the Lord, and only by the Lord. He is the only one with the complete knowledge necessary for the provision of all the components required, whether for lift-off, sustained operation in space or re-entry. Right now, I’m thinking about the tiles, the heat shield. Who knows better than The Lord how critically important they are. In fact He is constantly testing or trying us by fire to be sure that we are in possession of the kind that only He can provide. The problem happens when we substitute the work of man’s hands for the provision of God. Not only is the work of man’s hands destined for failure, but the men who build such things are in no position to properly evaluate the weaknesses of what they have done. Too many vested interests, I suspect. In any case, the net result of the work of man’s hands is that the shuttle breaks up on re-entry. It works good in Heavenly places, but it is clearly not accomplishing that for which it was designed here on earth. “Hear ye the word which the LORD speaketh unto you, O house of Israel: Thus saith the LORD, Learn not the way of the heathen, and be not dismayed at the signs of heaven; for the heathen are dismayed at them. For the customs of the people are vain: for one cutteth a tree out of the forest, the work of the hands of the workman, with the axe. They deck it with silver and with gold; they fasten it with nails and with hammers, that it move not. They are upright as the palm tree, but speak not: they must needs be borne, because they cannot go. Be not afraid of them; for they cannot do evil, neither also is it in them to do good. For asmuch as there is none like unto thee, O LORD; thou art great, and thy name is great in might. Who would not fear thee, O King of nations? for to thee doth it appertain: forasmuch as among all the wise men of the nations, and in all their kingdoms, there is none like unto thee. But they are altogether brutish and foolish: the stock is a doctrine of vanities. Silver spread into plates is brought from Tarshish, and gold from Uphaz, the work of the workman, and of the hands of the founder: blue and purple is their clothing: they are all the work of cunning men. But the LORD is the true God, he is the living God, and an everlasting king: at his wrath the earth shall tremble, and the nations shall not be able to abide his indignation,”Jeremiah 10:1-10. I am thinking about the kind of love that is able to take the heat: “Set me as a seal upon thine heart, as a seal upon thine arm: for love is strong as death; jealousy is cruel as the grave: the coals thereof are coals of fire, which hath a most vehement flame,” Song of Songs 8:6. A love that is only good for friends is not good for reentry: “A brother offended is harder to be won than a strong city: and their contentions are like the bars of a castle,” Proverbs 18:19. That kind of reentry requires a love that is good for enemies: “For if, when we were enemies, we were reconciled to God by the death of his Son, much more, being reconciled, we shall be saved by his life.” Romans 5:10. The heat that the heat shield is designed to protect against is the heat, which is caused by friction. Paul wrote perhaps the greatest statement on love to a Church that was in danger of breaking up due to friction. Our great problem is that some of the parts, think more highly of themselves than they ought, and other parts, equally preoccupied with self, decide that the “body has no need of them”. The problem is that we are more preoccupied with our own part than we are with the body. The Church has broken up due to either an “I have no need of you” attitude or an “I’m not needed” attitude. In either case, there is a failure to, “discern the body”. The former is the mind of sectarian “leadership,” and the other, the mind of the burned stones, which have been strewn along the way. The missing component is the right kind of love: “My purpose is that may be encouraged in heart and united in love, so that they may have the full riches of complete understanding, in order that they my know the mystery of God, namely Christ,…” Colossians 2:2, and “…over all these virtues put on love, which binds them all together in perfect unity,” Colossians 3:14. It is also my very strong impression that those who preside over the “institutional church” are in as much denial about the problem as those who preside at NASA. “O Jerusalem, Jerusalem, thou that killest the prophets, and stonest them which are sent unto thee, how often would I have gathered thy children together, even as a hen gathereth her chickens under her wings, and ye would not!” Matthew 23:37. Vested interest in the status quo is a veil of great darkness that makes the difference between being armed with information, or being built on the revelation of Divine Life. Reality is found only in Christ. Religion keeps us from seeing it/Him. We are heading for a city whose builder and maker is God. When the Isrealites entered the promised land there were cities that they had to take, even strongholds. All this happened to them as an example and was written down for our instruction on whom the end of the age has come. Taking Paul, and through him The Lord, seriously about this, let’s consider the taking of a city, even Jerusalem. “Nevertheless David took the strong hold of Zion: the same is the city of David. And David said on that day, Whosoever getteth up to the gutter, and smiteth the Jebusites, and the lame and the blind, that are hated of David’s soul, he shall be chief and captain. Wherefore they said, The blind and the lame shall not come into the house. So David dwelt in the fort, and called it the city of David. And David built round about from Millo and inward,” 2 Samuel 5:7-9. They took “the strong hold of Zion:” Perhaps I should also cite: “For though we walk in the flesh, we do not war after the flesh: (For the weapons of our warfare are not carnal, but mighty through God to the pulling down of strong holds;) Casting down imaginations, and every high thing that exalteth itself against the knowledge of God, and bringing into captivity every thought to the obedience of Christ;” 2 Corinthians 10:3-5. This is a war that is going on in the minds of men. The war is against, strongholds or paradigms – ways of thinking, together with their root causes, whether it be the devil, demons, the futility of Gentile thinking, wounds of the past, insecurities, you name it. These things hold up inside the fortress on men’s minds, interesting, they do, in fact, make us “blind, and lame.” Arguments, like bars in the windows, only reinforce their position or stronghold. Even Jerusalem was/is – can be occupied by thinking, thus polluted, or trodden down. How does King David take the stronghold? He goes in through the “gutter,” where the water was coming out of the stronghold. I’m guessing it was/is polluted by the occupants, the Jubusites. My impression is that the water source was in the stronghold itself. It was probably clean at its source, but became polluted as it passed through the stronghold. “In the last day, that great day of the feast, Jesus stood and cried, saying, If any man thirst, let him come unto me, and drink. He that believeth on me, as the scripture hath said, out of his belly shall flow rivers of living water. (But this spake he of the Spirit, which they that believe on him should receive: for the Holy Ghost was not yet given; because that Jesus was not yet glorified. )” John 7:37-39. Somewhere it is written, it is, “Not that which goeth into the mouth defileth a man; but that which cometh out of the mouth, this defileth a man,” Matthew 15:11. And again, “But as it is written, Eye hath not seen, nor ear heard, neither have entered into the heart of man, the things which God hath prepared for them that love him. But God hath revealed them unto us by his Spirit: for the Spirit searcheth all things, yea, the deep things of God. For what man knoweth the things of a man, save the spirit of man which is in him? even so the things of God knoweth no man, but the Spirit of God,” 1 Corinthians 2:9-11. The Stronghold is not pulled down with regulations, laws, condemnation, programs or manipulation, but with the planting of a seed, an incorruptible seed, even Christ. This raises the question of where, how, and to what end are our lives going to be planted. It is written: “Except a corn of wheat be cast into the ground and die…” The dying and the planting are a package deal. This is consistent with Paul’s thought: “So then death worketh in us, but life in you.” 2 Corinthians 4:12, and “Who now rejoice in my sufferings for you, and fill up that which is behind of the afflictions of Christ in my flesh for his body’s sake, which is the church:” Colossians 1:24. In contemplation of His own death, Jesus prayed: “… O my Father, if this cup may not pass away from me, except I drink it, thy will be done,” Matthew 26:42b. On his way to Jerusalem for the last time Paul wrote: “… I have great heaviness and continual sorrow in my heart. For I could wish that myself were accursed from Christ for my brethren, my kinsmen according to the flesh:” Romans 9:2, 3. “In following Jesus, we eventually come to a cup. It’s not a nice cup, not a cup that anyone would volunteer to drink. In a sense, it is a cup full of hazardous waste. It is a cup full of abomination, Revelation 17:4, 18:6, Ezekiel 23:31, 32, 33, Habbakuk 2:15, 16. a cup of wrath, Revelation 14:10, 16:19, Psalms 75:8, Jeremiah 25:15, 17, 28, Jeremiah 49:12, Jeremiah 51, Lamentations 4:21, Zechariah 12:2. a cup of heart break. Jesus came to a place in His ministry when he had to drink this cup, Matthew 20:22, Matthew 26:39,42, Mark 10:38, Mark 14:36, Luke 22:42, John 18:11. But He was not the only one who would drink from it, there would be others, Matthew 20:23, Mark 10:39. And what shall we say? It was on the matter of this cup, that we first see a difference in wills between Jesus and His father. For the first time from eternity past, there is a difference between them. It was the Father’s will that Jesus should drink of this cup. It was the son’s will that it might pass from Him. In the Garden of Gethsemane, Jesus was locked into a conflict of wills, a conflict, which would not pass, until His Father’s will prevailed. The conflict was so great, that Jesus asked his closest friends to come and pray with him, but they fell asleep in the midst of it, and didn’t wake up until it was over. In a sense, this matter had already been settled from before the foundation of the world, but none of us should be to quick to think that we can drink from this cup. When the moment of truth finally comes, we too may sweat blood over the matter. We may not be called to drink the cup for everyone, but we may be called to drink the cup for those we love, if we are going to love them to the end. There were those in Babylon that The Father loved. He wanted them out of there. But the only way to get them out was to dispose of the cup from which they had been drinking. It was a cup in the hands of a mystery, Revelation 17:4. Once again, Jesus asked, “My Father, if it is not possible for this cup to be taken away unless I drink it, may your will be done,” Matthew 26:42. Jesus knew that this cup had to be disposed of. He wanted another way to get rid of it, but there was none – perhaps someone else ‘to stand in the gap,’ but there was none, Ezekiel 22:30. In order to make it possible for us, the ones who were captive in Babylon, to be intimate with Him, He had to drink the cup of our abomination, and, with it, the desolation. In order to love me, he had to take the worst of me into Himself. Would that were the end of it. In loving one another, there is a cup that we also must drink. Otherwise, we will break faith with one another, Malachi 2:10-16. Are we prepared to do whatever is necessary to get the objects of God’s affection out of Babylon, and Babylon out of the objects of God’s affection? “Is it nothing to you, all ye that pass by? Behold, and see if there be any sorrow like unto my sorrow, which is done unto me, wherewith the Lord hath afflicted me in the day of his fierce anger,” Lamentations 1:12. Do we have the love required for reentry, do we have the love required to enter the stronghold, having no regard for the pollution we may encounter in the process. Do we have what it takes to pull down the strongholds presently held captive by thoughts that are not part of the mind of Christ? If we don’t, our mission is doomed from the start. 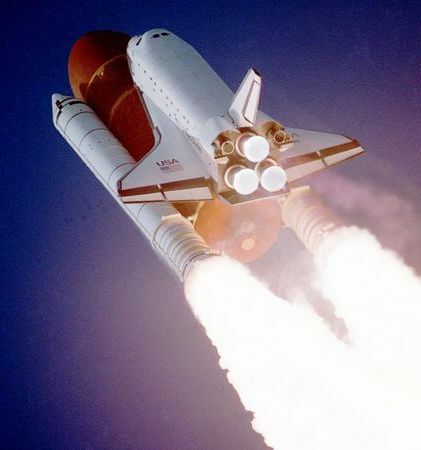 It’s critically important what happens on “lift off.” Did I hear, “Let us Pray,” Matthew 24:20? We must first once realize that we were indeed plucked from a gutter ourselves and never once forget it. Otherwise, our prayers will resound that of the Pharisee, indignant of the tax collector. These hands won’t even be able to hold the cup, much less drink from it. Jay has such a way! I love reading his work, so inspired!